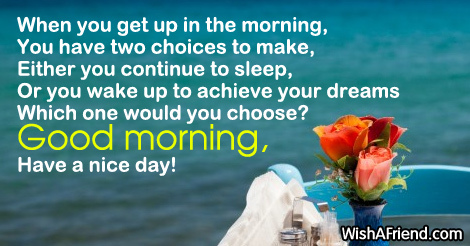 When you get up in the morning, You have two choices to make, Either you continue to sleep, Or you wake up to achieve your dreams Which one would you choose? Good morning, Have a nice day! Happy Sunday to everyone.